The cancer stem cell (CSC) model suggests that a subpopulation of cells within the tumor, the CSCs, is responsible for cancer relapse and metastasis formation. CSCs hold unique characteristics, such as self-renewal, differentiation abilities, and resistance to chemotherapy, raising the need for discovering drugs that target CSCs. Previously we have found that the antihypertensive drug spironolactone impairs DNA damage response in cancer cells. 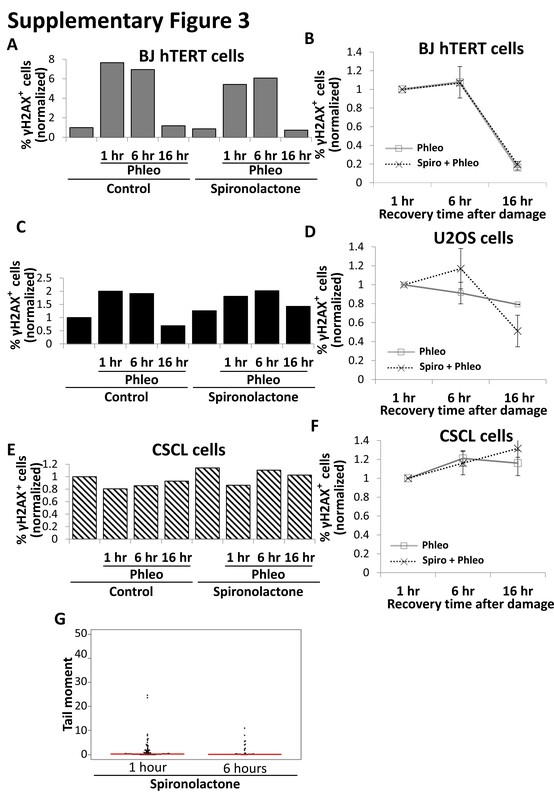 Here we show that spironolactone, apart from inhibiting cancerous cell growth, is also highly toxic to CSCs. Notably, we demonstrate that CSCs have high basal levels of DNA double-strand breaks (DSBs). Mechanistically, we reveal that spironolactone does not damage the DNA but impairs DSB repair and induces apoptosis in cancer cells and CSCs while sparing healthy cells. 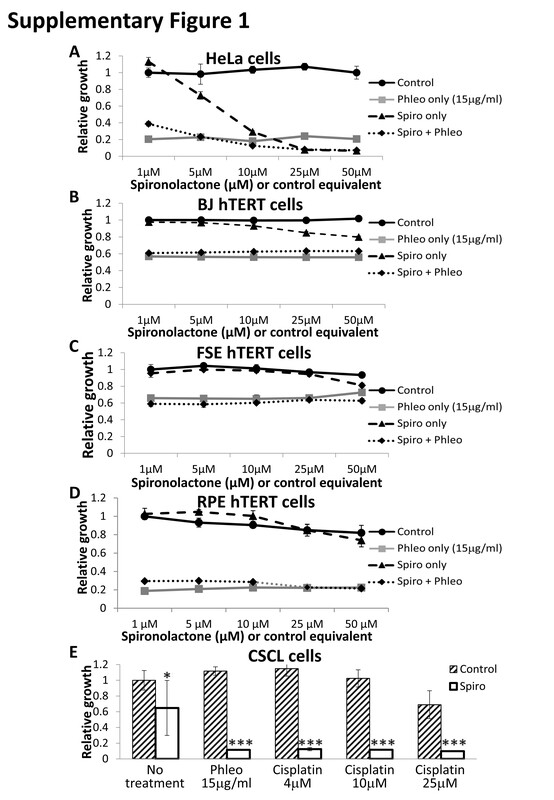 In vivo, spironolactone treatment reduced the size and CSC content of tumors. Overall, we suggest spironolactone as an anticancer reagent, toxic to both cancer cells and, particularly to, CSCs. Rajanna A. Novel approach to target cancer stem cells for therapy. Med Hypotheses. 2016;88:83–5. Ferguson LR, Chen H, Collins AR, Connell M, Damia G, Dasgupta S, et al. Genomic instability in human cancer: Molecular insights and opportunities for therapeutic attack and prevention through diet and nutrition. Semin Cancer Biol. 2015;35:S5–24. Harper JW, Elledge SJ. The DNA damage response: ten years after. Mol Cell. 2007;28:739–45. Gavande NS, VanderVere-Carozza PS, Hinshaw HD, Jalal SI, Sears CR, Pawelczak KS, et al. DNA repair targeted therapy: The past or future of cancer treatment? Pharmacol Ther. 2016;160:65–83. Shahar OD, Kalousi A, Eini L, Fisher B, Weiss A, Darr J, et al. A high-throughput chemical screen with FDA approved drugs reveals that the antihypertensive drug Spironolactone impairs cancer cell survival by inhibiting homology directed repair. Nucleic Acids Res. 2014;42:5689–701. Alekseev S, Ayadi M, Brino L, Egly JM, Larsen AK, Coin F. A small molecule screen identifies an inhibitor of DNA repair inducing the degradation of TFIIH and the chemosensitization of tumor cells to platinum. Chem Biol. 2014;21:398–407. Leung WH, Vong QP, Lin W, Janke L, Chen T, Leung W. Modulation of NKG2D ligand expression and metastasis in tumors by spironolactone via RXRγ activation. J Exp Med. 2013;210:2675–92. Struthers A, Krum H, Williams GH. 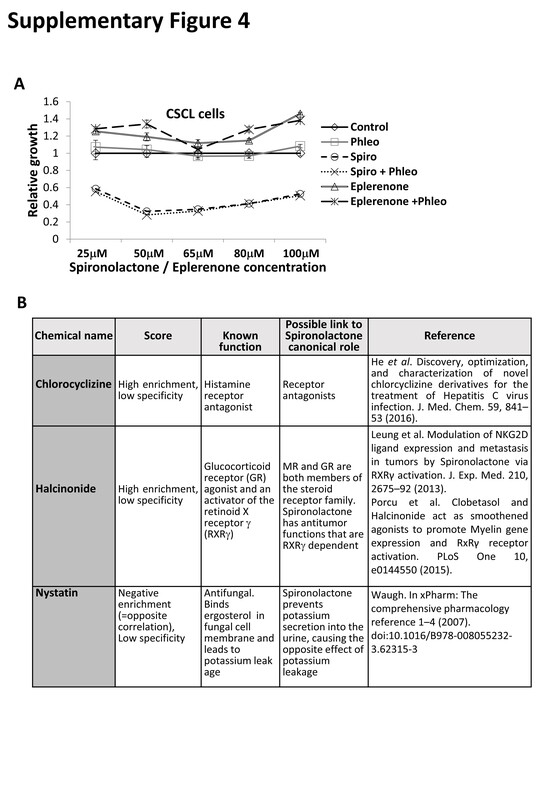 A comparison of the aldosterone-blocking agents eplerenone and spironolactone. Clin Cardiol. 2008;31:153–8. Funder JW. Mineralocorticoid receptor antagonists: emerging roles in cardiovascular medicine. Integr Blood Press Control. 2013;6:129–38. Bandhavkar S. Cancer stem cells: A metastasizing menace!. Cancer Med. 2016;5:649–55. Shaked Y. Balancing efficacy of and host immune responses to cancer therapy: the yin and yang effects. Nat Rev Clin Oncol. 2016;13:611–26. Clarke MF. Self-renewal and solid-tumor stem cells. Biol Blood Marrow Transplant. 2005;11:14–6. Peitzsch C, Tyutyunnykova A, Pantel K, Dubrovska A. Cancer stem cells: The root of tumor recurrence and metastases. Semin Cancer Biol. 2017;44:10–24. 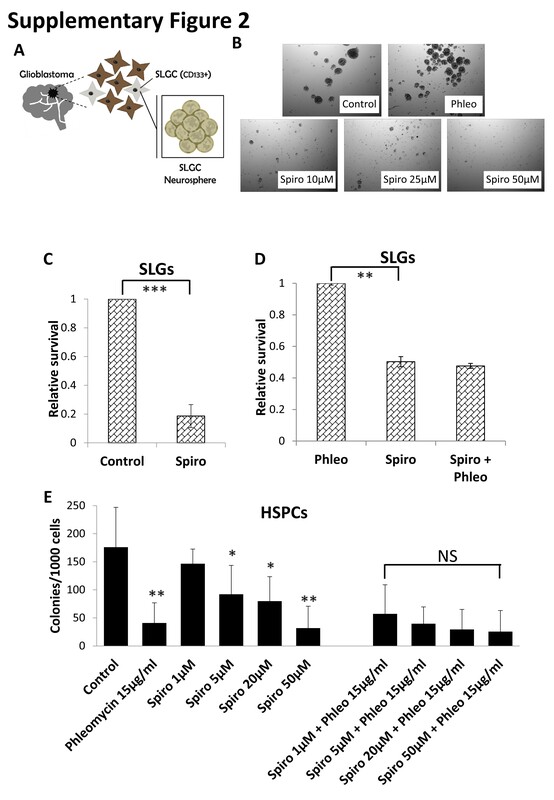 Scaffidi P, Misteli T. In vitro generation of human cells with cancer stem cell properties. Nat Cell Biol. 2011;13:1051–61. Campos B, Wan F, Farhadi M, Ernst A, Zeppernick F, Tagscherer KE, et al. Differentiation therapy exerts antitumor effects on stem-like glioma cells. Clin Cancer Res. 2010;16:2715–28. Torres CM, Torres CM, Biran A, Burney MJ, Patel H, Henser-Brownhill T, et al. The linker histone H1.0 generates epigenetic and functional intratumor heterogeneity. Science. 2016;353:aaf1644–1aaf1644-11. Singh SK, Hawkins C, Clarke ID, Squire JA, Bayani J, Hide T, et al. Identification of human brain tumour initiating cells. Nature. 2004;432:396–401. Dictus C, Tronnier V, Unterberg A, Herold-Mende C. Comparative analysis of in vitro conditions for rat adult neural progenitor cells. J Neurosci Methods. 2007;161:250–8. Biechonski S, Yassin M, Milyavsky M. DNA-damage response in hematopoietic stem cells: An evolutionary trade-off between blood regeneration and leukemia suppression. Carcinogenesis. 2017;38:367–77. Chadwick JA, Lowe J, Shaw JJ, Guttridge DC, Gomez-Sanchez CE, Gomez-Sanchez EP, et al. Mineralocorticoid receptors are present in skeletal muscle and represent a potential therapeutic target. FASEB J. 2015;29:4544–54. Lamb J. The Connectivity Map: a new tool for biomedical research. Nat Rev Cancer. 2007;7:54–60. Taghiyev AF, Guseva NV, Sturm MT, Rokhlin OW, Cohen MB. Trichostatin A (TSA) sensitizes the human prostatic cancer cell line DU145 to death receptor ligands treatment. Cancer Biol Ther. 2005;4:382–90. Choi YH. Induction of apoptosis by trichostatin A, a histone deacetylase inhibitor, is associated with inhibition of cyclooxygenase-2 activity in human non-small cell lung cancer cells. Int J Oncol. 2005;27:473–9. Ferreira JRO, Cavalcanti BC, da Costa PM, de Arantes FF, de Alvarenga ES, Maltha CR, et al. Induction of G2/M arrest, caspase activation and apoptosis by α-santonin derivatives in HL-60 cells. Toxicol Vitr. 2013;27:1458–66. Belmokhtar CA, Hillion J, Ségal-Bendirdjian E. Staurosporine induces apoptosis through both caspase-dependent and caspase-independent mechanisms. Oncogene. 2001;20:3354–62. Oliver FJ, de la Rubia G, Rolli V, Ruiz-Ruiz MC, de Murcia G, Murcia JM. Importance of poly(ADP-ribose) polymerase and its cleavage in apoptosis. Lesson from an uncleavable mutant. J Biol Chem. 1998;273:33533–9. Helleday T, Petermann E, Lundin C, Hodgson B, Sharma RA. DNA repair pathways as targets for cancer therapy. Nat Rev Cancer. 2008;8:193–204. Cheung-Ong K, Giaever G, Nislow C. DNA-damaging agents in cancer chemotherapy: serendipity and chemical biology. Chem Biol. 2013;20:648–59. Kotsantis P, Silva LM, Irmscher S, Jones RM, Folkes L, Gromak N. et al. Increased global transcription activity as a mechanism of replication stress in cancer. Nat Commun. 2016;7:13087. Bao S, Wu Q, McLendon RE, Hao Y, Shi Q, Hjelmeland AB. et al. Glioma stem cells promote radioresistance by preferential activation of the DNA damage response. Nature. 2006;444:756–60. Chen Y, Li D, Wang D, Liu X, Yin N, Song Y, et al. Quiescence and attenuated DNA damage response promote survival of esophageal cancer stem cells. J Cell Biochem. 2012;113:3643–52. Chang CH, Zhang M, Rajapakshe K, Coarfa C, Edwards D, Huang S, et al. Mammary stem cells and tumor-initiating cells are more resistant to apoptosis and exhibit increased DNA repair activity in response to DNA damage. Stem Cell Rep. 2015;5:378–91. Yao X, Panichpisal K, Kurtzman N, Nugent K. Cisplatin nephrotoxicity: a review. Am J Med Sci. 2007;334:115–24. Chuang Y, Yu MC, Huang ST, Yang CK, Chen CH, Lo YC, et al. Spironolactone and the risk of urinary tract cancer in patients with hypertension. J Hypertens. 2017;35:170–7. Gardiner P, Schrode K, Quinlan D, Martin BK, Boreham DR, Rogers MS, et al. Spironolactone metabolism: steady-state serum levels of the sulfur-containing metabolites. J Clin Pharmacol. 1989;29:342–7. Lumb G, Newberne P, Rust JH, Wagner B. Effects in animals of chronic administration of spironolactone--a review. J Environ Pathol Toxicol. 1978;1:641–60. We thank the members of our laboratory for supportive discussions and lab assistance: Paola Scaffidi and Thomas Mortimer for helping with the CSCL cell system; Christel Herold-Mende for providing us SLGCs; Yuval Dor and Elad Horwitz for comet assay assistance; Dan Sarni for software advice; Batsheva Kerem for providing healthy cells; Adva Biran and Uri Ben-David for CSC advice; Nissim Benvenisty for helpful advice and Evi Soutoglou for providing anti-XPB antibodies. This work was supported by grant 1353/12 from the Israel Science Foundation and grant 20171152 from the Israel Cancer Association, with the generous assistance of Nancy and Peter Brown through the ICA USA to MG, and by grant 1140/17 from the Israel Science Foundation and CA180 from the DKFZ-MOST Collaboration to EM. Correspondence to Eran Meshorer or Michal Goldberg.